KATHMANDU, Jan 22: The parliament’s meeting has been halted again for 15 minutes, the second time on Tuesday after Nepali Congress lawmakers demonstrated against the government’s decision to keep the two hospitals under the provincial government. 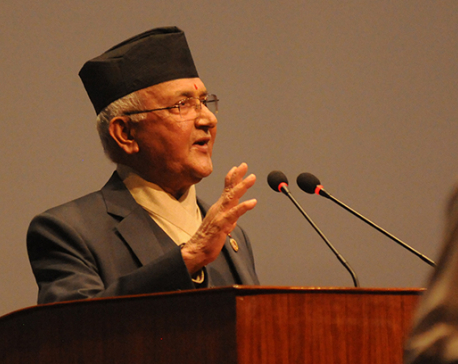 NC lawmakers barred Minister for Education Giriraj Mani Pokhrel from tabling the medical education bill in the parliament. 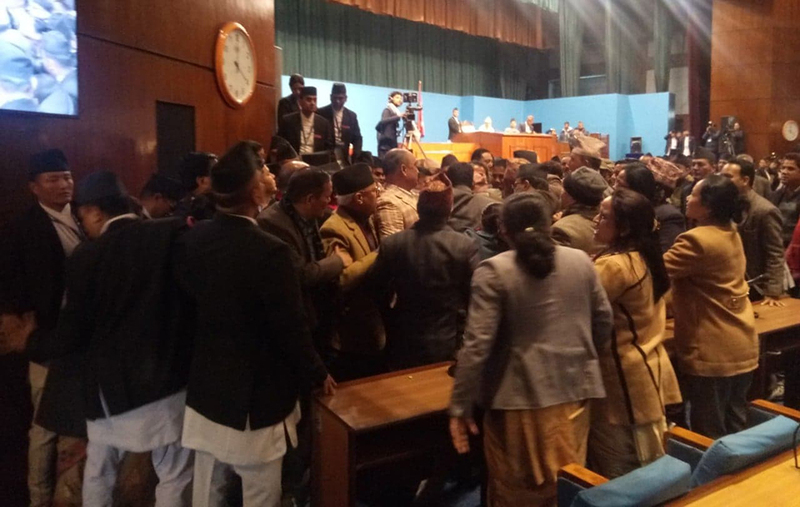 Earlier the parliament’s meeting has been halted for 15 minutes after Nepali Congress lawmakers demonstrated against the government’s decision to keep the two hospitals under the provincial government. 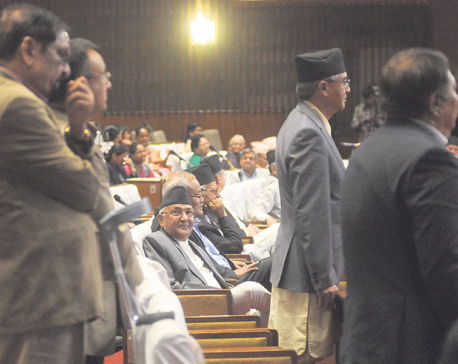 NC lawmakers including Prakash Man Singh and Gagan Thapa stood up and from their seats and warned that they would not let the parliament run until the two hospitals - Girija Prasad Koirala National Center for Respiratory Disease, Tanahun and Sushil Koirala Prakhar Cancer Hospital, Banke are brought under the federal government. NC lawmakers picketed the rostrum demanding the withdrawal of the government’s decision on the aforementioned hospitals. Even though Speaker Krishna Bahadur Mahara tried to run the meeting, he had to postpone it for 15 minutes after the NC lawmakers continued protesting.